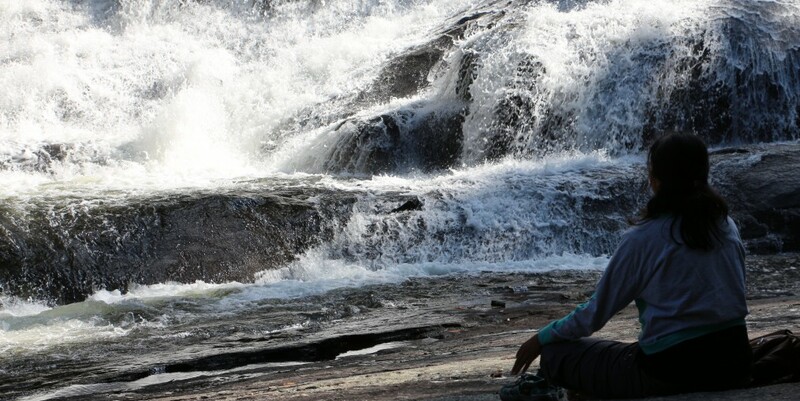 We learn from nature if we pose , look at how it all works. It’s pretty simple yet amazing. Makes me smile everytime I notice something. 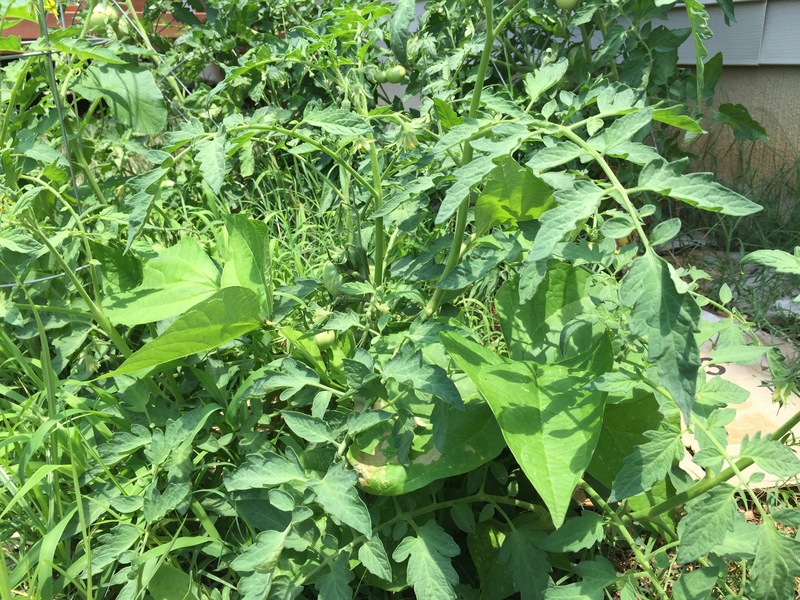 First picture is of tomato plant and there ‘s a green bean bush close to it. They both are kind of inter mingled but both happily growing. I couldn’t seperate them and why bother when they are growing. 2nd one is tomatoe and cantaloupe plant. They ended up sharing cage. 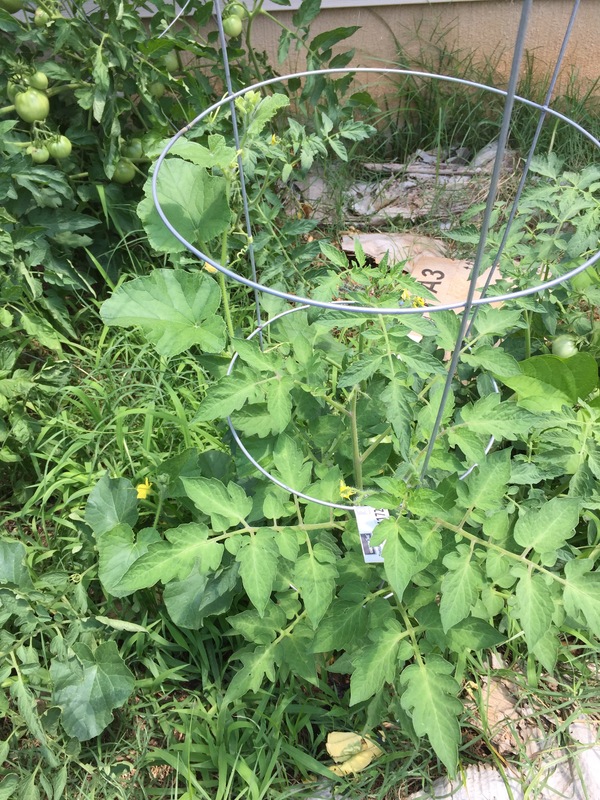 Tomatoe plant is kind of out of cage and cantaloupe is holding onto cage tightly since it’s a vine. Isn’t that amazing ? They are not fighting it’s my cage and you get out like us humans do. All me, mine and conflict due to it. We can learn to live and let live and stop judging everything. This entry was posted in Yoga and Life. Bookmark the permalink.